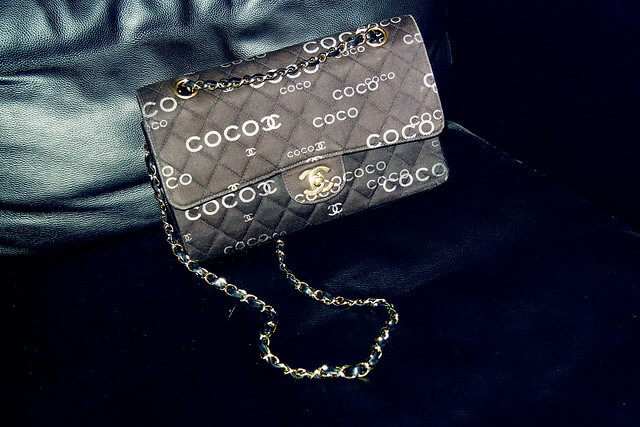 Chanel 2.55 black Coco canvas double flap from the Trend Bureau. Shoes & one-piece from Forever21. With all the crazy night-outs and abuse my favorite party bag has gotten, I'm so happy that I recently found this cute Chanel purse to replace it with! I know the print's hard to pair with most outfits and some would probably use it as a main accessory, but I think it didn't really clash with my printed dress last night. I LOVE the different pockets of the Chanel 2.55. Don't forget to check out the Trend Bureau, they always restock on brand new as well as pre-loved branded bags and accessories. I know I owe all of you bigger photos of my flat (I've been posting some on Instagram, my username is Raleene) but I'm not done decorating my rooms. I feel like I need to fill up some of the bare walls so that will be in an entirely different post. I always forget to promote our gigs here and I feel like I should do that more often... Please watch us on the 24th (Friday) at Mercato Centrale, BGC! 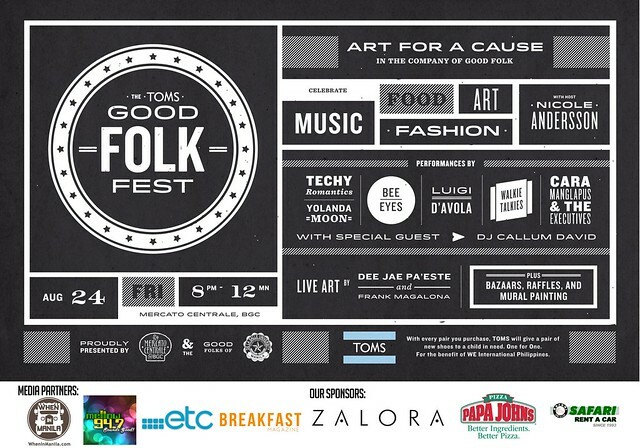 We will be performing for the TOMS Good Folk Fest and it'll be a lot of fun! The lineup is amazing and we're so happy to be a part of it. This event is for the benefit of TOMS' giving partner, WeInternational. All proceeds from the event will go to the foundation. Plus BAZAARS, RAFFLES, AND MURAL PAINTING from sponsors and partners. Please follow the Walkie Talkies Twitter account and like our Facebook page if you haven't yet. Just wanted to fill you in with my life at the moment. I promise to tone down on the partying. I seriously need to study!! !